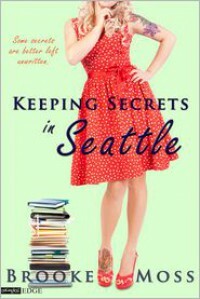 So glad I got to read Brooke Moss' Keeping Secrets in Seattle. And what a treat this story was! I am a huge fan of Friends to Lovers stories. This one did not disappoint. Violet and Gabe have known each other since childhood. Somewhere in-between they fell in love (adorable) but something happened to pull them apart. In later years they still kept in-touch, met up and managed to stay friends. Even though the flame was still burning. Too bad Gabe was about to get married. This story was oh-my-gosh romantic, made me laugh, tear up and sigh. I could feel Gabe and Violet's conflict, desperation and love. One thing I really enjoyed is how Brooke Moss started each chapter with an entry of Violet's diary while she was still in high school. Eventually we got to find out what really happened to break Vi and Gabe up. Wow. This is a a wonderful romantic story. 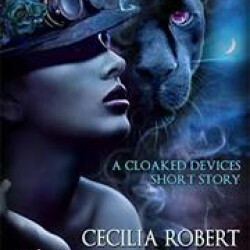 I didn't want to stop reading this, until I'd peeled the layers and met the real Violet and Gabe. Could we have Landon's story please Ms. Moss? He leaned away from me enough to gaze down into my eyes. "My place is with you. I don't care where that is. If you're there, it's my home, Vi."